On Sale Now! 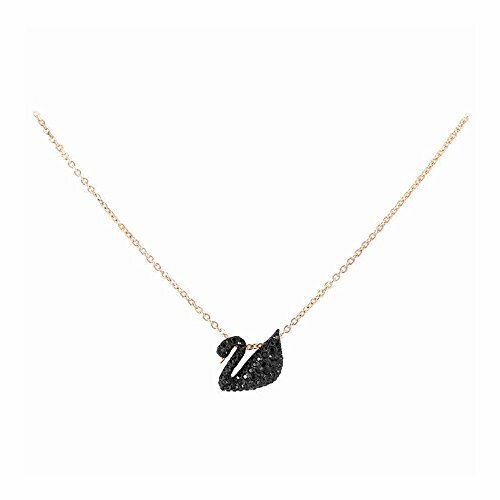 Save 6% on the Swarovski Iconic Swan Pendant 5204133 Length: 14 7/8 Inches by Swarovski at Mas Fashion. MPN: 5204133. Hurry! Limited time offer. Offer valid only while supplies last. A modern take on an iconic piece this pendant captures the grace and elegance of a swan. It combines rose gold-plated metal and black crystal pave. A modern take on an iconic piece this pendant captures the grace and elegance of a swan. It combines rose gold-plated metal and black crystal pave. Perfect for adding a soft sparkle to any outfit. The pendant measures 1 x 1 cm and comes on a 38 cm rose gold-plated chain. A modern take on an iconic piece, this pendant captures the grace and elegance of a swan. It combines rose gold plated metal and black crystal pave. Perfect for adding a soft sparkle to any outfit. The pendant measures 1 x 1 cm and comes on a 38 cm rose gold-plated chain.